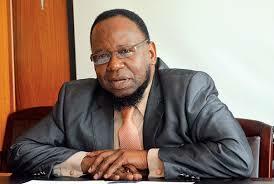 Grade 7 pupils must attend class until the normal closing date, even after completing their exams during the term, Primary and Secondary Education minister Lazarus Dokora minister has said. Ordinarily, the students finish their exams about a month before the term ends. Dokora told senators last week that after the exams students must attendant lessons for subjects that may not have been given full attention during the term. “According to Policy Circular No. 62 of 1987, Grade 7 classes continue after examinations,” he argued, adding that “the circular provides for pupils to remain at school until the normal closing date of term”. “This period of time should be used productively by providing remedial work for pupils who may need it and, for example, to reinforce work in subjects that may not have been given full attention in the period of intensive preparation for the Grade 7 examinations,” Dokora said. “In addition, the Grade 7 teachers do prepare schemes of work for the post Grade 7 examination activities which they follow so that the learners are productively engaged. “For example, working in the school garden, being engaged in sporting activities, visiting local industries and other activities planned by their teachers,” he said. Dokora said government was monitoring all schools to ensure that students remain at school until the normal closing day. Meanwhile, Dokora also said his ministry is worried about irregularities in terms of prices and sizes of the buses which are being purchased by various schools. “The ministry has witnessed an influx of buses which were purchased by schools. While this was a positive move for the sector, there were also attendant irregularities in terms of prices and sizes of the buses. ... there were outcries from parent communities and some stakeholders with regards to the prices of some of the buses.